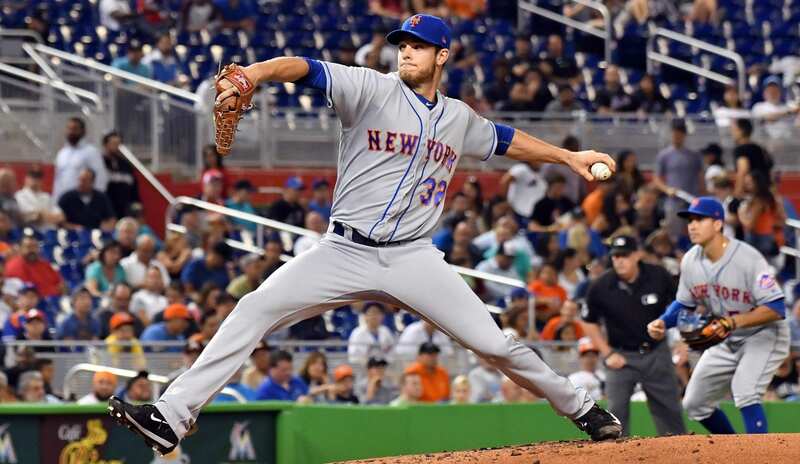 The red-hot New York Mets return home looking to add on to their terrific 10-1 start. They welcome in the Milwaukee Brewers (7-6), who sit in third place in the National League Central. The Brewers have one of the better outfields in baseball that includes Christian Yelich, Lorenzo Cain, Ryan Braun and Domingo Santana. Milwaukee hopes to win the division for the first time in their franchise’s history. The Mets currently are one of the best teams in baseball and have won eight straight games. They already have six comeback victories, which leads baseball. Manager Mickey Callaway has looked like a genius through these first 11 games and every player is doing their part to contribute to the team’s early success. The Brewers have a dangerous lineup which is headed by the big bat of Eric Thames. Just like last season, Thames has come out hot out of the gate with five home runs. With the loss of Jimmy Nelson for most of the season the team will be relying on Davies and Anderson to lead their rotation. The Brewers have already had a tough schedule that has started with 10 of their first 13 games against the Chicago Cubs and St. Louis Cardinals. After All-Star closer Corey Knebel went down with a hamstring the bullpen needed a new stopper for the end of their games. Josh Hader, Jacob Barnes and Matt Albers have been relied on heavily in Knebel’s absence. Hader has only pitched 7.2 innings but has 17 strikeouts in his limited work. Friday will start the second turn around the rotation for the Mets “dream rotation”. On the first time around it led to a perfect 5-0 record. Now these core group of pitchers will showcase their talents at home for the first time. They have been good but they certainly can be even more dominant. Over his career Adrian Gonzalez has hit 8-22 with a home run against Jhoulys Chacin. Christian Yelich has a career .298 batting average against right handed pitching an that is exactly what the Mets will feature in the final two games of the series. Jay Bruce has only hit 1-14 against Chase Anderson in his career. Callaway might shake up the lineup again for Saturday’s matchup. In a small sample size, Ryan Braun is only 1-6 against Noah Syndergaard and with Braun on the decline, Thor should win the matchup once again. Yoenis Cespedes has hit .388 with four home runs in his career against the Milwaukee Brewers. Hopefully this allows him to breakout of his slump. Eric Thames has only hit .206 against power pitchers, so do not look for him to have too much success when he faces Syndergaard on Sunday.